A Jelena veio de Mladenović – Servia e realizou um SVE em Lisboa em Portugal. Esta é a partilha da sua experiência! My ‘career’ as a volunteer started the same way as it happens with many of us, doing small things in my own private endeavors to help the community and ease someone’s life a bit. Over the years taking care of stray animals and helping the elders at the senior center from the neighborhood grew into an actual membership in one of the organizations from my hometown Niš, The Volunteering Center. There, I heard for the first time about European Voluntary Service and decided to run for it as soon as I finish my University. Since I studied English language and literature, and French was my second foreign language, my dream was to do my long term EVS in France. Until one day I received the following proposition: “Would You like to spend six months in Lisbon as an EVS volunteer?” At first, I was reluctant cause of my former plan. Besides that, at the time, my knowledge of Portugal was very scarce, and it amounted to knowing that Lisbon was the capital city and that one of the greatest explorers Vasco da Gama comes from there. It was only after my good friend told me that she had visited the country some years before and that ever since she had dreamed of returning there once again, that I started considering the idea of applying for the project. Then it happened that I also remembered the volunteers from Portugal who spent some time in Niš, who organized a small Portuguese film festival, which I liked very much. So, I knew also a bit about Portuguese films. One thing led to another and, eventually, there I was, in one of the oldest ports in Europe, the beautiful Lisboa, A Cidade Branca (the White City) on the Rio Tejo. One of the things that led me there was the actual project I was about to be a part of. The hosting organization, Mais Cidadania, situated in the Lisbon’s city center and the heart of its urban life, the neighborhood of Bairro Alto, has an amazing general idea, which I recognized as a very important one for the community there. At first, I just liked the idea of working with children and young people in non-formal educational projects, which coincided very well with my own profession, that of a teacher. Later on, I got to understand the wider concept of their work. This organization promotes the ways of fighting against social exclusion, of bringing different cultures together, and bettering the understanding amongst them, all with the aim of making their citizens, the young ones as well as the elders, integrate better into community for the purpose of improving the quality of their lives. I am proud to have been a part of that great project and to have been able to learn from all the amazing people I had the opportunity to meet, and the most important of all, to befriend, in that place, which is being run, for the biggest part, on enthusiasm of their employers, employees, interns, as well as volunteers. Apart from the extensive experience I gained at Mais Cidadania, in six months I spent in Lisbon, I had a chance to learn so much about life abroad, as well as to enjoy in the immense cultural potential the city itself has. Situated in the far west of Europe, at its very edge so to speak, and due to its history as well, Portugal is fortunate to host a wealth of cultures, European, African, South American and Asian being the most prominent ones, while at the same time retaining its own unique culture and tradition. The streets are full of bookshops, old and new, wonderful architecture, each corner beautified by some artist’s creativity, houses covered with ‘azulejos’, beautifully painted tile work, and small taverns resonating with fado music. It’s the city of a poet, the poet being Fernando Pessoa, a symbolic figure, therefore, it’s full of poetry – verses on the walls of old houses, on souvenirs, in the hands of the passengers in the tube… However, all this is just a small part of the wonders this city has in stock. The most valuable treasure it has to offer are its people. Relaxed Mediterranean pace, as well as other numerous factors, has shaped kind and pleasant men and women, ready to engage with the strangers in the streets, to offer their help, or open their hearts and homes to you. If it weren’t for them, the sole beauty of architecture, the ocean or the land, would not bring me the satisfaction I feel as a result of having really been there, immersed in the life of that place. As soon as I discovered the subtle beauties of the Portuguese language, I started to delight in studying it more thoroughly, and since I am a linguist, this continues to bring me a lot of pleasure even today. My first serious encounter with the language happened during the Portuguese language course organized by the hosting organization, and it was one of the most pleasant experiences. The teacher not only let her students into her home, but also introduced us to Portuguese culture, traditional and modern, its music, Lisbon’s city life, and, what is also very important, her friends, some of which remained close to both me and my colleague volunteers throughout our stay there. In the end, every experience amounts more or less to the inseparable ties you made with the people who have taken a special place in your hearts and lives, and my experience was no different in that way. From the start, there wouldn’t have been no experience if there weren’t for the hard-working, warm and amazingly imaginative men and women from the organization Mais Cidadania, including all the children, young people and individuals who see that place as somewhere they can socialize, learn something, further their creativity, be productive, or just have fun. 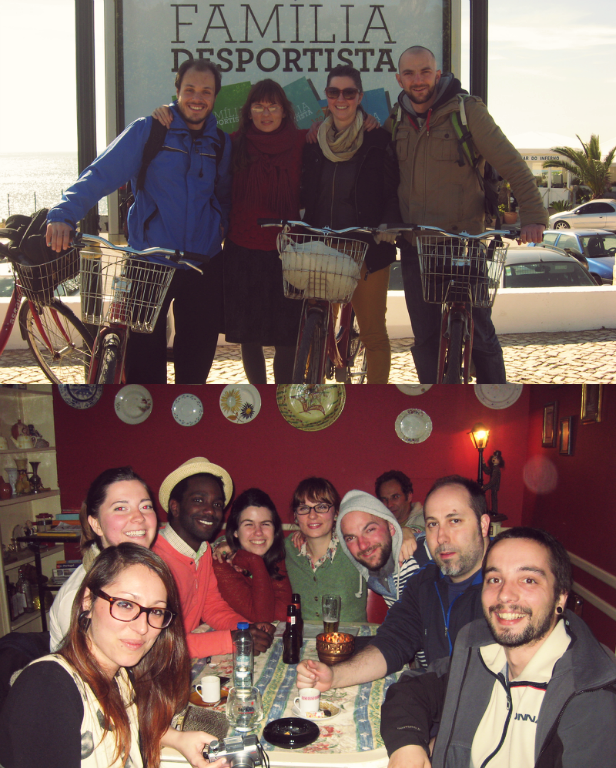 It was also unforgettable meeting other volunteers doing their EVS all around Portugal, who came from different countries, bringing their own culture there and adind up to that multiculturalism of Lisbon. Living for six months with my coworker volunteers from Poland, Italy and France, inevitably led to some enduring friendships, which have remained strong to this day. 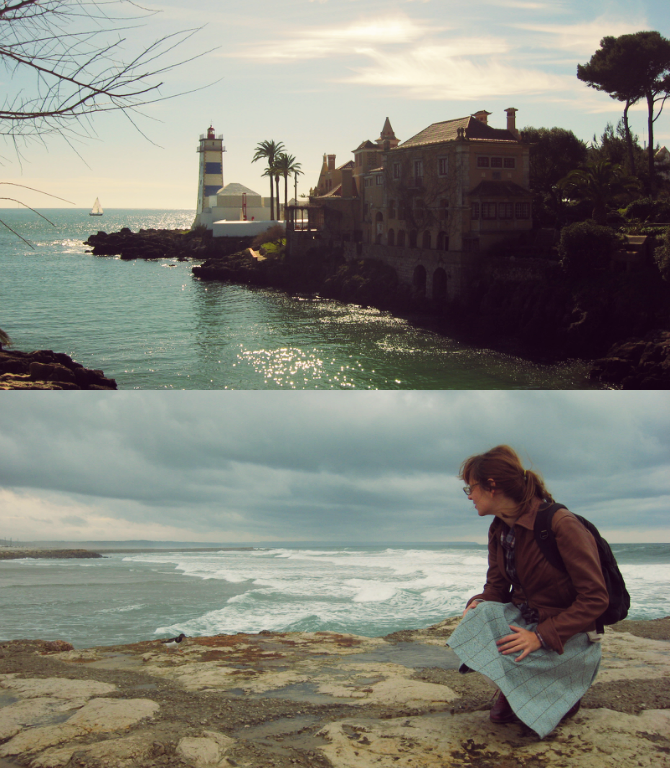 Those six months I lived in the capital of Portugal will be remembered as one of the best experiences of my life. And finally, to think that I could have missed all that by choosing to go somewhere else is unimaginable for me now. The best things in life come unexpectedly. December 13, 2013 in SVE - Acolhimento.